When Pax was a little puppy, we noticed that he kept ripping leaves of our dracaena plant. We would find the leaves scattered around the house. At the same time, we saw he would throw up or have an upset tummy while displaying lethargy. When we went to the vet, they ruled out all parasites and other possibilities. I shared with our vet about the dracaena plant, and she let me know that it is mildly toxic to dogs and we should move the plant. Please be mindful with purchasing new plant babies and introducing them to your furry baby some of them can cause serious effects. IF YOU ARE A GREEN THUMB! Don’t fret! 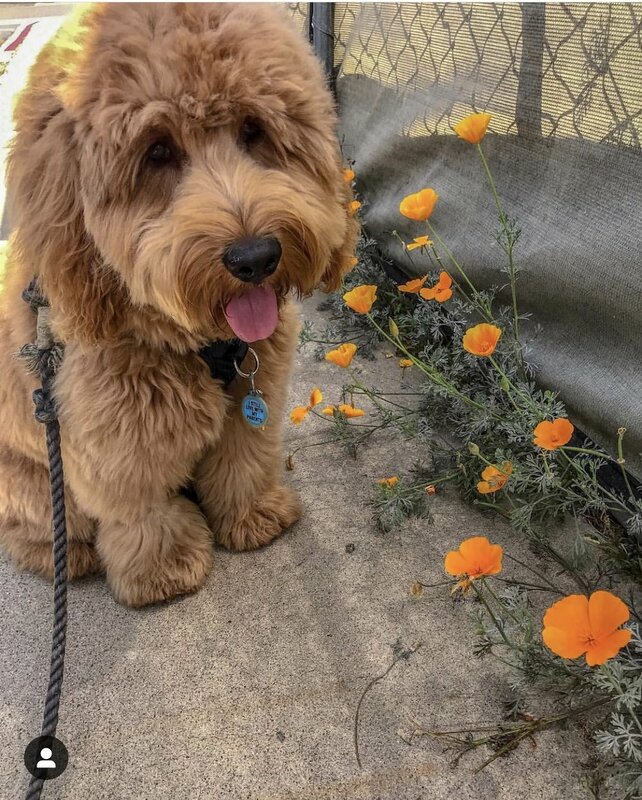 There are dog-friendly plants to fill your house with :) Not all dogs eat plants or flowers so you may not even need to worry. However, just in case, make sure you know which plants are toxic vs. non-toxic and the signs to look for. Here are some SAFE plants for dogs! For more questions take a look at the following links. The ASPCA & Humane Society both have entire lists of toxic plants for dogs. Always talk to your vet and do your research! Below is also a list of dog-friendly options.